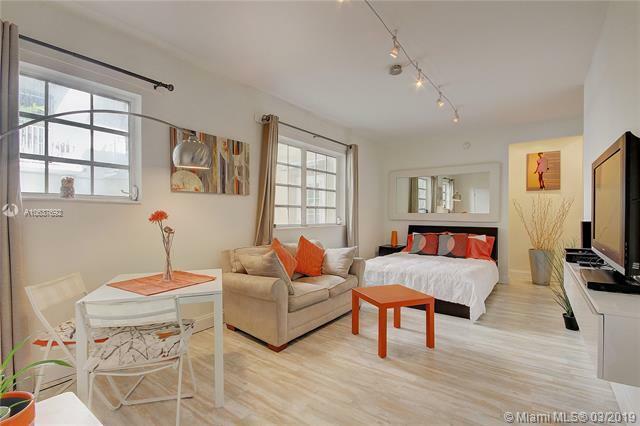 The private entrance and large patio truly make this studio feel like a beach cottage. 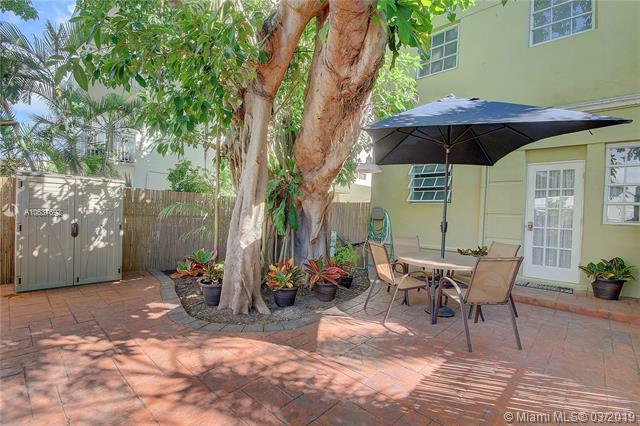 Patio boasts 625 Square Feet of charm and a peaceful Banyan tree for shade year round. 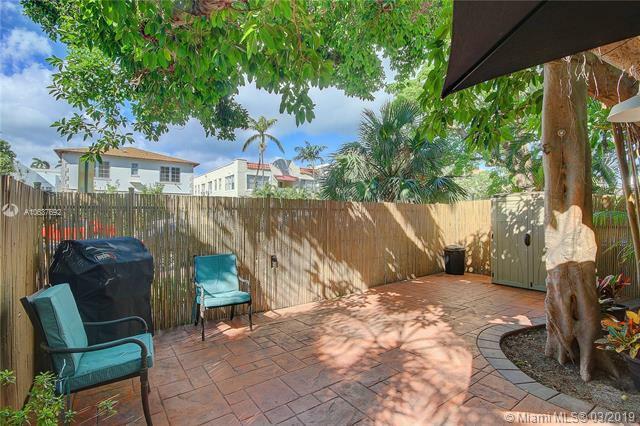 Espaola Way is at your doorstep and a just a couple short blocks to both Lincoln Road and the ocean. A true walkers paradise! 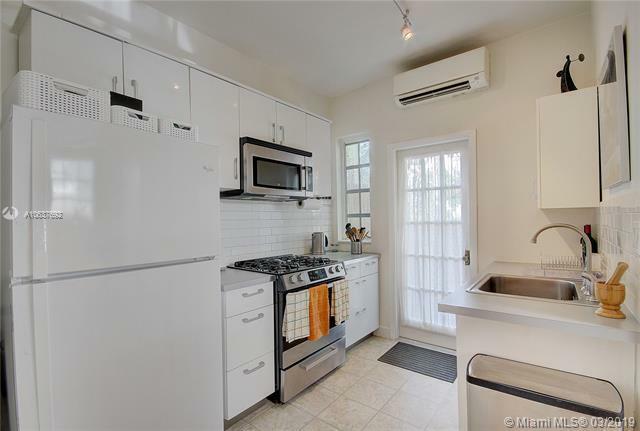 Unit is sold turn-key with washer/dryer, grill, TV and chic beach-y furnishings throughout. Walk-in closet and plenty of storage space. All in a historic 1935 building. This unit is ONE-OF-A-KIND!